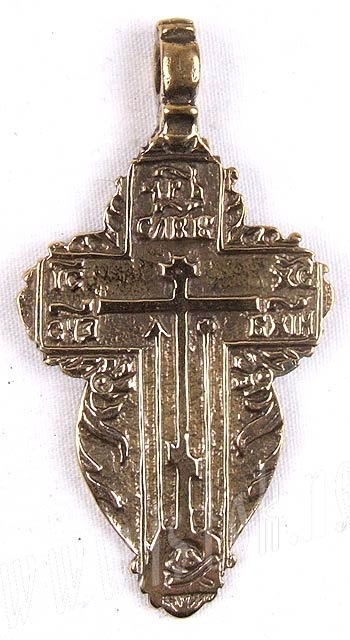 Traditional Orthodox baptismal cross for women. A copy of the XVII century cross. Brass, hand-casting and hand-polishing. Size: 1.0''x2.0'' (26x50 mm).